Air Canada Boxing Day Tickets/Flights Seat Sale: Save an Extra 15% Off to Any Destinations Worldwide. Air Canada has an awesome Boxing Day Tickets/Flights Seat Sale available now that includes: Save an Extra 15% off Tango, Flex and Premium Economy Lowest Base Fares to Any Destinations Worldwide. This sale is valid until December 29, 2017. Air Canada’s Boxing Day sale is now LIVE! Save 15% on popular destinations when you book by December 29th, 2016. Travel from January 11, 2017 to June 15, 2017. Book using the promotion code GIFT2016. Book by December 29, 2016, at 11:59 pm from your city of departure in Canada. Valid on Tango, Flex, Premium Economy (lowest) or Premium Economy (flexible) base fares. Maximum 9 passengers per booking. 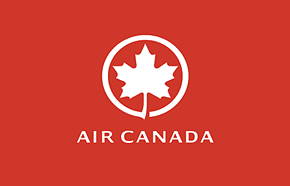 Valid on flights operated by Air Canada, Air Canada Express and Air Canada Rouge.